We are back with some pretty cool updates on this build, the components are really starting to come together and you can start to see just how awesome this cart is going to be! Upgrading from the factory controller to this monster controller! 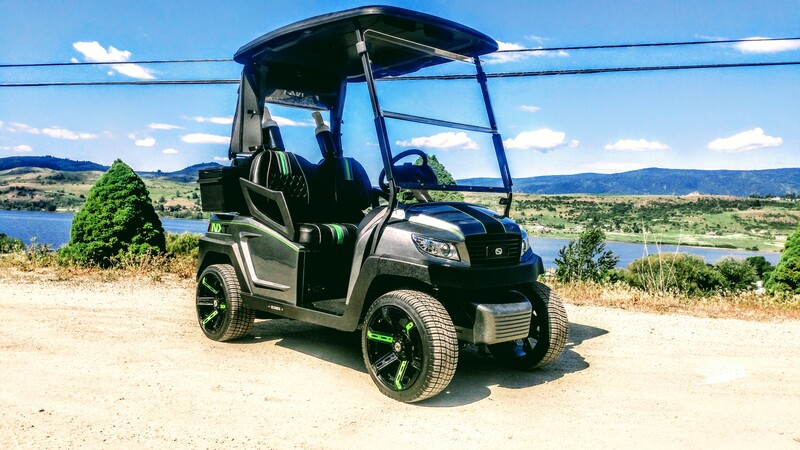 Here it is installed in the cart, this controller is going to give the buggy the oomph it needs around The Falls Golf Course, next the custom HD cables will be built in house! The factory underbodies are in the booth ready for there long process of becoming smooth as glass! Now the high build primer was next, once it dries the team will get on with the several hours of hand sanding, then we can get ready for the red! Fitting the SC Carts custom roof system after it has come back from powder coating. This is a pretty awesome silhouette, starting to get the picture now! Make sure to stick around, because this cart is going to be coming together in a hurry from here on out! We can’t wait to show you next week. Have you seen post number 1 on this buggy?